It’s that time of year again! In weeks 9 and 10 the AAC will be hosting the annual “Future Weeks” events. Whether you want to continue your studies, take a gap year or go straight to work, this program, with lectures and workshops, should help you figure out your next steps. “Future Weeks” grew from what was once “Future Fair”. The last AAC board extended what used to be a lightning-fast, jampacked event into a continuous fes tival of lectures and workshops. This year we decided to stick to the new format. Together with the societies affiliated with different academic disciplines, we have tried to collect an ensemble of guest lecturers representing a vast spectrum of Master Programs accessible to UCR students. Most of our speakers are UCR alumni and understand what it is like to study here. They, too, have faced the challenging program of a Liberal Arts and Sciences college, specifically this one, and are equipped with first-hand experience of what it is like to step out of our bubble and into the future. Many UCR alumni end up doing a masters, some stay in the Netherlands and quite a handful end up studying abroad. “Future Weeks” is a beautiful example of the privileges that come with studying in a small and tightly knit community like UCR. We could easily take it for granted how willing alumni are to travel to great lengths just to tell us what they have been up to and how they landed perfectly on their feet post-graduation. This also goes for the Professors and supporting staff who help organise and participate in the “Future Weeks” events. Apart from the emphasis on students’ academic futures, we have tried to pay attention to other aspects of “real life”. By incorporating workshops for professional skills and essential life skills, we hope to also add something for those who do not wish to pursue further education, or at least not yet. We understand that UCR students are not only diverse in the courses they take here, but also in their future plans. What is new this year is the collaboration with Talent4NL. The workshop they will be giving on Monday is aimed at helping international students find their way into the Dutch job market after their studies. It is not unheard-of that international students can find it hard to stay in the Netherlands after graduation because they can’t quite find their window of opportunity. We are also aware of those students who do not know yet. Frankly, many of us study here because we have no clue of what we wish for the future, where our strengths lie and what we can see ourselves doing for a while. The journey we go through at UCR helps us figure that out. 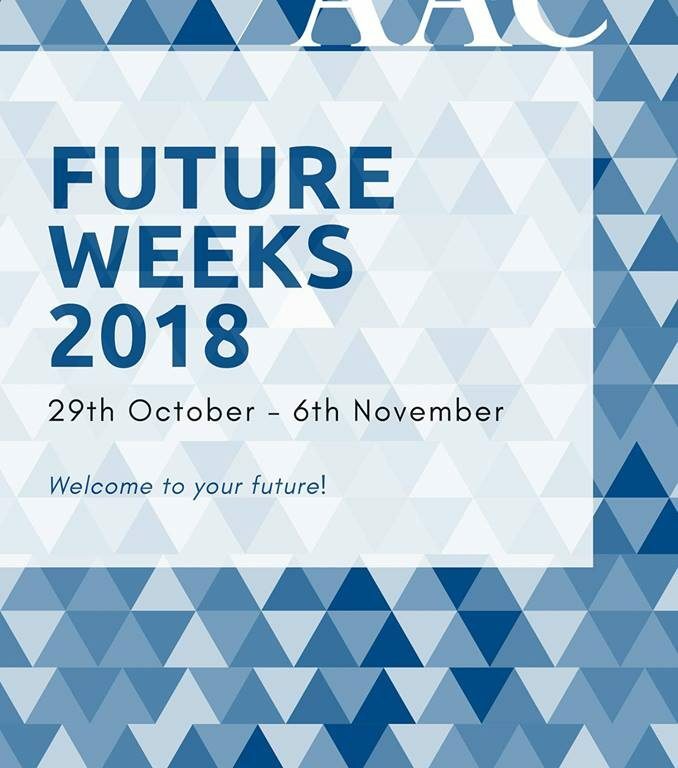 “Future Weeks” can help us. Listening to what another person did when they were in our shoes, might just spark something in one of us. Sometimes we can be inspired to work towards an option we had never considered before. The “Future Weeks” are meant to stimulate UCR students to give their future some thought. Regardless of whether a student decides to pursue a Master’s Program, a job, or even a gap year, there are options that can meet the needs of every student. After all, the three years we have here are surprisingly short and only the beginning of a long adventure. Next Next post: The Low-lands vs The Land Down-Under: How does Australia compare to the Netherlands?